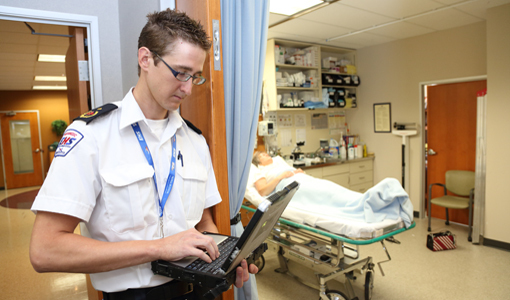 When Nova Scotians need help in an emergency, Emergency Health Services (EHS) paramedics are there. In addition to responding to emergencies, our paramedics also work in Collaborative Emergency Centres across the province; provide health care in nursing homes in HRM; and take on a leadership role in their community. EHS paramedics are a vital part of our health-care system. In Nova Scotia, EHS provides emergency response via ground ambulance and our Life Flight helicopter and fixed-wing aircraft. Paramedic crews are dispatched through our communications centre in Burnside. Each crew consists of two paramedics, and they are based in regions across the province, depending on historic call volumes. There are over 1000 paramedics registered in the province. Call 911 when someone’s health, safety or property is threatened and help is needed right away.